For that purpose I made a one simple library. 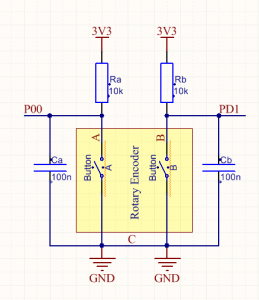 This library works for incremental rotary encoders. It uses an interrupt to handle rotations. On the rotary encoders inside are basically 2 pushbuttons. And because they are mehanical, you can also expect some debouncing. 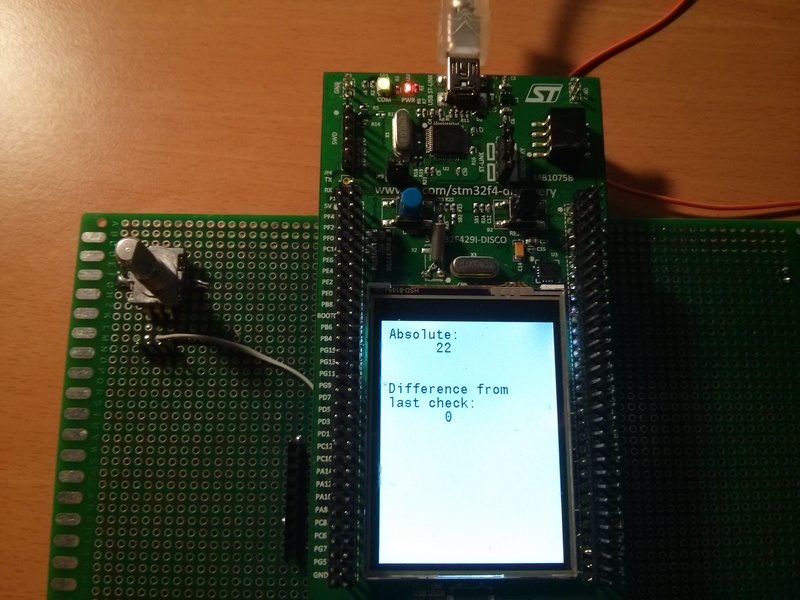 STM32F4 is a fast device and will handle this debouncing what you don’t want. For that you have to make a good filtering. I made a schematic. how to properly connect rotary encoder to STM32F4 to disable debouncing effect. Operate with up to 16 rotary encoders at a time. External interrupt based detection, not TIM’s input. 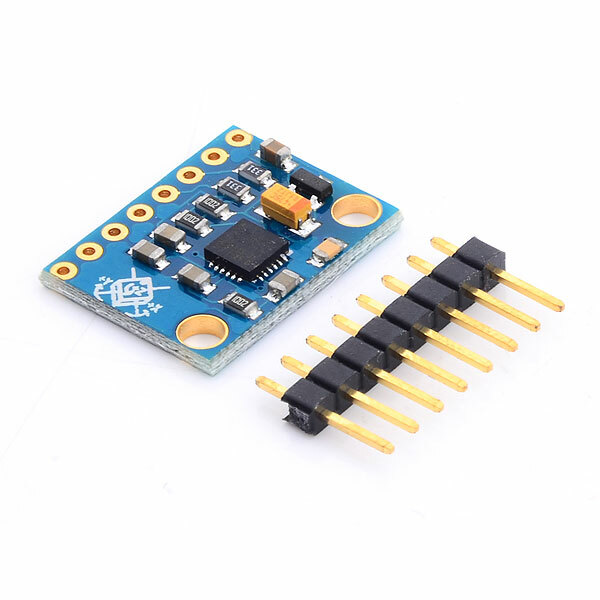 Rotary encoder has 3 pins. pins A, B and C (common). My library uses only A pin to be connected to interrupt, B can be whatever else. 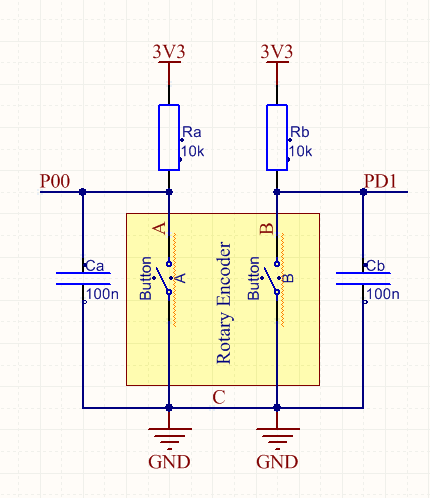 You set your pins when you initialize your custom rotary encoder. And, if you need, you can use up to 16 rotary encoders. This number depends on EXTI feature. It supports 16 interrupt lines at a time, because rotary encoder uses one pin (typically pin A) for interrupt source. * @note This function have to be called inside your interrupt handler. This example uses default settings, PD0 and PD1 are in use.